Family Focus, 2010 Dewey Ave. “American Defender: The Life of Frederick Douglass” premieres at the Family Focus Playhouse on Friday. The Center for the Church and the Black Experience at Garrett-Evangelical Theological Seminary commissioned Brian Smith to write, produce and direct a play about Frederick Douglass for the culmination of their Black History Month programming. The play, “American Defender: The Life of Frederick Douglass,” chronicles the early life of the former slave and abolitionist. Smith, Evanston resident and a minister at Garrett-Evangelical, said he hopes the play will “highlight and showcase the contributions of black church” and educate the community about black history. The play will run at the Family Focus Playhouse on Friday. Smith said the Center aims to incorporate the experiences of black Americans in church through Douglass’ own journey in faith. He added that the play is meant to follow last year’s production about Harriet Tubman, saying there was a strong demand from the community to showcase black history. “American Defender” is part of a larger effort to teach black history in succession, starting with figures like Tubman and continuing into modern history, Smith said. He said there is an interest in creating a series of plays for Black History Month next year, telling the stories of influential black figures. “We have entered a phase in our country where it is very important for everyone to educate themselves and become more informed,” Smith said. Angela Cowser, director of the Center for the Church and the Black Experience, echoed Smith’s emphasis on black history education and added that it is especially important for young people to hear these stories. She said young adults in the community will be able to resonate with the story of Douglass’ youth. Cowser said the play shares the story of resistance and oppression in depicting what it was like for a black child in slavery. 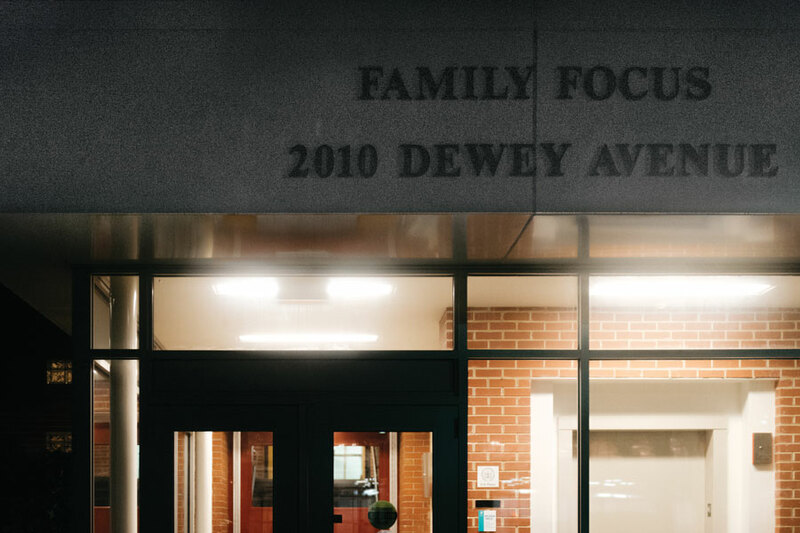 To bring the play to the community, Coswer said the center also collaborated with Shorefront Legacy Center and several black churches in Evanston. She said she expects the audience to be moved and inspired by the resilience Douglass and other black children showed in order to survive slavery. Family Focus program assistant Alexx Brown said the theater has received many calls from people asking how they can order tickets. He said there is a lot of excitement in Evanston. “I’ve heard all throughout the city that the production last year was sold out so I know people are even more excited to see what this year’s show will bring,” Brown said.